When shopping for an SUV, you don't have to sacrifice luxury to get a smaller vehicle. While many SUV customers are of the opinion that "bigger is better," some people prefer to have a little extra cargo space in a vehicle that gets respectable gas mileage and is easier to park. 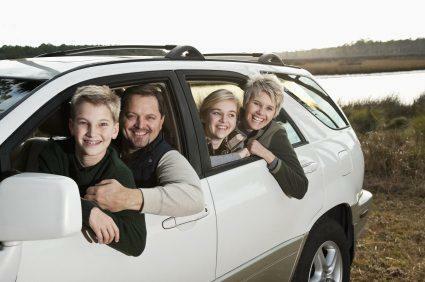 The compact SUV is the right choice for these customers. Independent publications like Consumer Search, U.S. News and World Report and Insider Car Reviews rank various models. Going over the findings of expert reviewers can help you to narrow the field before you head down to the dealership. Different agencies give different rankings for the best luxury compact SUVs. However, it is worth checking out all SUVs that receive good ratings from independent reviewers. Audi Q5: The Audi Q5 leads the pack among smaller-sized luxury SUVs. It received the number one slot on U.S. News and World Report's list of the best luxury compact SUVs, as well as the awards for the best small luxury crossover vehicle from Consumer Search and the best compact luxury SUV crossover award from Inside Insider Car Reviews. Rarely is there such a consensus among the automotive press. Of particular note are the high marks for performance as well as the perfect scores for safety. Volvo XC60: U.S. News and World Report named this vehicle as the second best in its class and noted its exceptional performance. The car received a 9.9 out of 10 score for safety, making this another vehicle to look at for consumers seeking something safe as well as reliable. Inside Car Reviews liked the vehicle, but declined to put it on their list of the best cars due to its fame as the vehicle of Twilight character Edward Cullen. Infiniti EX: The Infiniti EX was ranked as the third best SUV in its class by U.S. News and World Report and fourth by Insider Car Reviews. The former noted that due to the smaller cargo space, this may not be the best pick for a family car. The car did, however, receive a perfect score for safety, so if you have a small family that doesn't require a lot of cargo space this still might be a good vehicle for you. Insider Car Reviews noted that the back seat is a little cramped in terms of leg room. Lexus RX350: The luxury compact crossover SUV started at Lexus, so it is fitting that they would be at the top of the pile. Insider Car Reviews named this as the second-best SUV in its class, though it remained unranked at U.S. News and World Report. The website noted that the car's handling is the most attractive feature, and they also praised the luxurious interior. Acura RDX: U.S. News and World Report named the Acura RDX sixth best in its class, and Insider Car Reviews named it as the fifth best. The former gave the car high marks for performance, as well as a perfect score for safety. Insider Car Reviews described the vehicle as being enough like a very tall hatchback that those who do not generally like driving SUVs wouldn't mind getting behind the wheel of this vehicle, which offers sportier handling than other cars in its class. Researching cars before you talk to a dealer is always a good idea. Knowing what you are talking about will prevent you from being taken advantage of by an unscrupulous car salesman. Further, you will know what features you want and won't be sold on a bunch of accessories that you don't necessarily want or need. You will also narrow down the field of options, preventing you from becoming paralyzed by how many choices that you have. If you want luxury in a small SUV, chances are that you're looking for the very best. Determining what features make up "the best" for you can help you settle on the make and model you want to buy before you even set foot on the lot.